Sokoban is a block pushing puzzle game. Objective of game is to put all the boxes in designated locations. Rules are very simple - only one box can be pushed at a time, and they cannot be pulled. 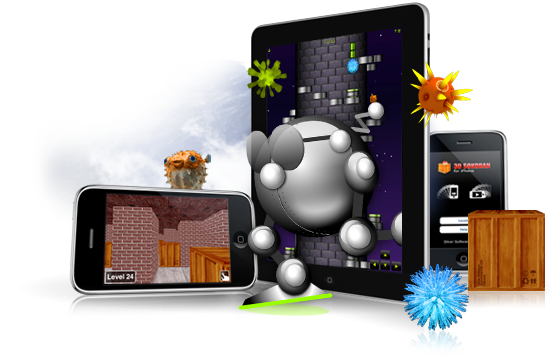 Power Toppler is a remake of popular classic called Tower Toppler (aka Nebulus). Objective of game is to reach the top door of the tower to unlock access to next one. Creatures guarding towers try to make sure your character cannot make it in time, pushing it over the edge.